Are you shopping in art galleries and furniture stores to find that it all starts to look the same? 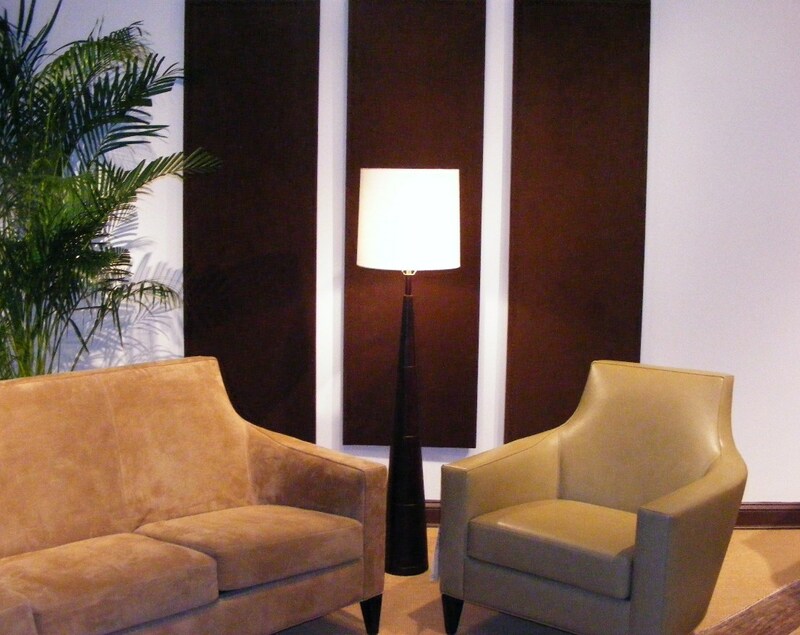 Consider this alternative….wrap light weight wallboard or an old canvas frame in suede or fabric! This is a great way to add interest to a large wall (without breaking the bank)! And, since it’s not a busy scene, it won’t fight with the your rug or the other art in the room. Another option is to paint canvas with layers of paints in several tones from dark to light. This allows you to bring in your favorite color tones without repainting the room. There are many alternatives to art in stores, get creative and find your inner artist! Leather sofa or fabric sofa? Read this before you buy! How to select paint colors, see these photos.